As the weather gets cooler I like to start experiementing with my looks for the new season, I don't want to jump straight in with a coat, scarf, hat and gloves! 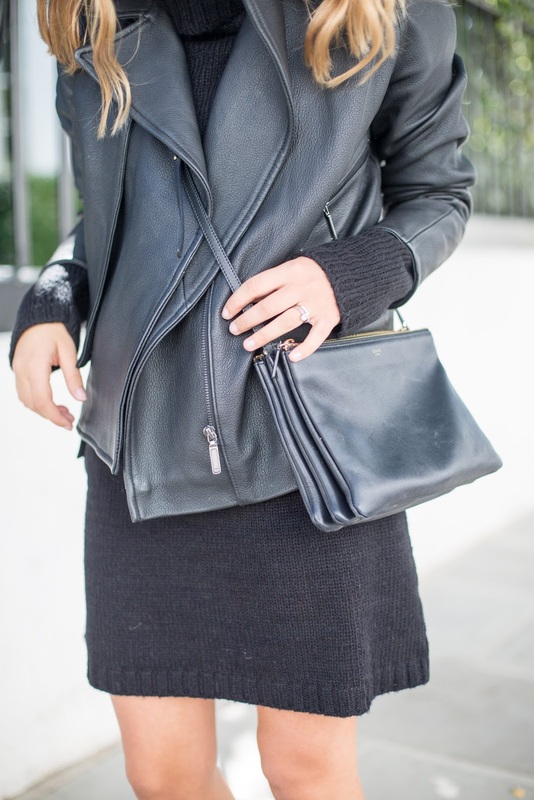 (Although the thought of chic layering does get me excited!) There is something I just love about dressing in cold temperatures.) 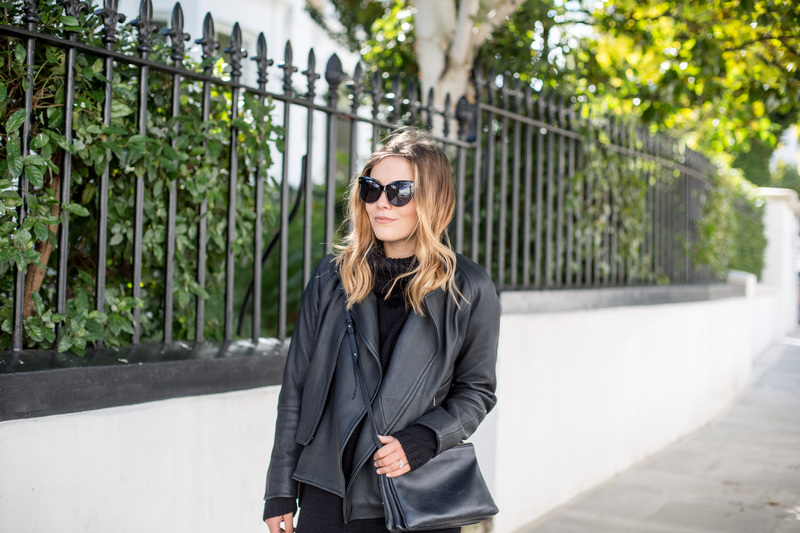 Leather jackets are my go-to during this transitional period as they're so easy to wear and super versatile; as of late I've loved wearing them on top of a knitted dress with my Classic UGG boots. As we edge nearer towards Winter I'll be swapping bare legs for black jeans which I'll tuck into my UGG boots and wrap up in a cosy oversized scarf. I am wearing the UGG Classic Short boot in black. Shop the style here. Love this look, perfect for this undecided weather we keep having! Stunning! i love that jacket more and more every time you wear it, it's gorgeous! Cool outfit! LOVE that UGG Boots! Love ugg boots; so comfy!